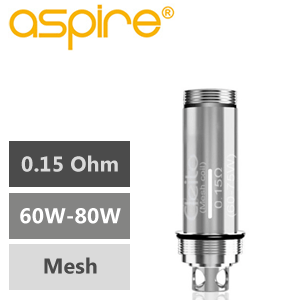 These are Cleito Mesh replacement Atomizer Heads for the Aspire Cleito PRO Tank. 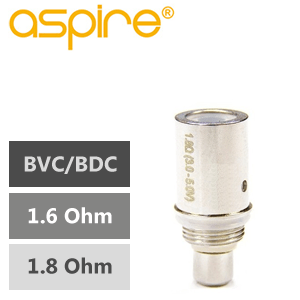 The revolutionary deign of the Aspire Cleito coils which frees up a lot more restriction in the air flow system by removing the use of a static chimney inside the tank. The coil itself is essentially the chimney itself. This game-changing new idea results in an enhanced flavour profile and a significant increase in vapour production. Combined with a claptonized Kanthal coil for maximum flavour. 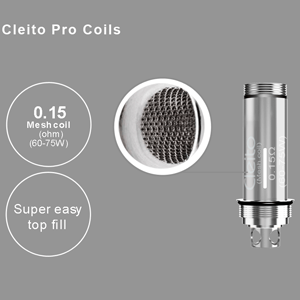 The Cleito pro coils have been reworking in the wicking so as to avoid any dry hits. Been running a Cleito since they released them, and have settled on the EXO, but with this coil. It gives me a 4ml fill, and absolutely awesome flavours from the same liquids I’ve vaped all along. Well done Aspire, gets my vote.